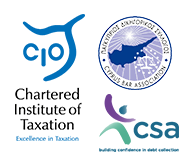 Back in January of 2018, the Cyprus Tax Department announced the Interpretative Circular 222 which designates the Value Added Tax treatment of holding companies in Cyprus. The Circular is based on existing case law from the Court of Justice of the European Union (ECJ) and explains the interactions between these two entities. We’ll help you better understand how VAT and holding companies interrelate with this new law. The Interpretative Circular 222 states that simply acquiring and holding shares in a company does not constitute economic activity for the purposes of the VAT according to Article 3 of the VAT Act provided by case-law by the ECJ. Since the potential profits come only from ownership, merely holding shares in other businesses doesn’t comprise a manipulation of goods with the intention of gaining income. The above tax statement does not apply if a holding company is associated with indirect or direct involvement in company management where shares are acquired without bias against the rights of a shareholder or partner. The degree to which a holding company is entangled with company management where it owns shares is determined on a case-by-case basis, as there are no determining criteria put in place by the ECJ. A person is indicated as administration or management if they organize, make decisions, steer events, or coordinate affairs on behalf of the company, whether these actions are taken by a person that belongs to a legal entity and indirectly holds shares, or a legal entity itself which holds them directly. If one is thought to be involved in managing subsidiary companies, it must be proven through factual evidence such as meeting minutes, management agreements, or board resolutions. Indirect and direct involvement differ in a specific way. With indirect involvement, no director is directly involved, but they may still influence decisions by being members of the subsidiary’s Board of Directors while directing a related company. Direct involvement is different in that the members of the holding company’s Board of Directors are also on the Board of the subsidiary. When a holding company legally controls other entities, they may influence the investment decisions of whoever holds the majority of shares. If this is proven to be true, they are considered by law to be receiving a dividend of the shares in return for providing management services. However, when someone acquires shares in a company, it is not always their intention to control the business. For example, a company may hold shares in another business in order to make a profit, rather than manage it. To be subject to VAT, a holding company must be involved in company management constituted as economic activity. Examples would be financial, administrative, technical, or commercial services to its subsidiaries. The holding company must also have the resources to provide these services. If the holding company cannot provide such services, they may acquire them from third-party enterprises and resell them. When this happens, the taxable person can deduct input tax as long as the services and goods were used for taxable transactions. They cannot deduct the VAT if the goods and services will be used to promote other subsidiaries. When a holding company conducts both non-economic and economic activities, the VAT input should be adjusted accordingly. With the new 2018 Cyprus Tax Department Circular, come new rules for applying VAT to business ventures. These new laws can be complex and confusing, but O Shambartas law firm can help. Contact us today for assistance in navigating the new tax law landscape.